This thread has also prompted me to backup the "setup" files for Comicrack onto my computer and to make a backup of said files so I can continue to use the program hopefully even years from now (hopefully the Microsoft Windows programs of the future will continue to cooperate with Comicrack ) .. so thank you all for that too, otherwise it would have never occurred to me to do so ! Apologies, I know this probably counts as highjacking a thread for which I apologize ... but I did want to give a heartfelt thank you to you all and to the developer as well on the off chance s/he sees this somehow, someday .. If Cyo doesn't release the code. We could reverse engineer it. 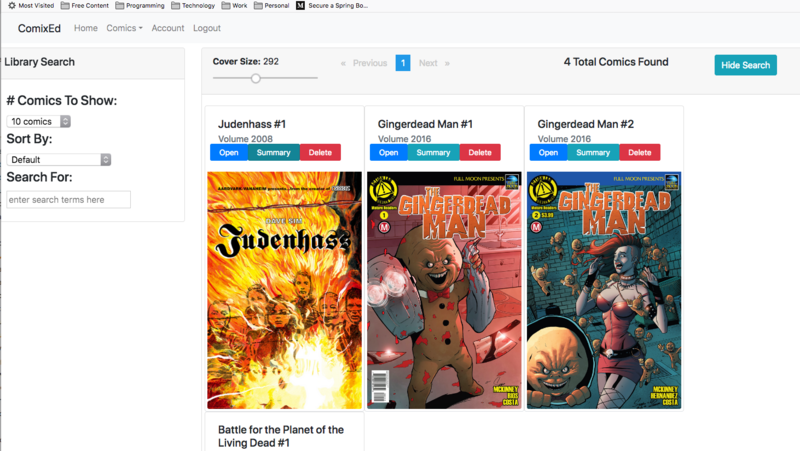 Comicrack is written in C#.net and its simple to decompile it. Some things will be a bit weird and there are no comments in code but its much less work than to write something appropriate from scratch. One would have to verify any copyrights and claims are abandoned first, and even then the name would probably have to be altered, I'm guessing. I started writing a replacement, got the engine working reasonable, but just don't have the time whatsoever now (work position changed). Started in VB.net, would love other people to revive that in the spirit of comic rack. Someone needs to keep it going, if not a direct descendant of CR, something in the same spirit. There really isn't anything else like it out there right now. I’ll give it a try. I am staying away from CR since last time it decided to start moving my files to a temp directory. Last Edit: 9 months 2 days ago by perezmu. The app is written in a combination of Java (backend) and Angular (frontend). One of the goals of the app is to be portable across OSs and doing a single UI codebase would be far too complex to be worth the effort. And one of the things I plan as a future enhancement is to put Jython into it so add-ons can be written in Python.